Great friends when you are having a rough week..
After a very sick and stressful week, I opened my door yesterday to find a package sent from my good friends Desi & Edson. I was in shock and so happy because 1. I love packages 2. I wasnt expecting a package 3. it was like opening an Xmas gift early! When I opened this package I nearly died just looking at all of the great and amazing things they sent me. They know me so well! They seriously made my entire week, even if they would have sent me a fridge magnet I would have been thrilled just to hear from them because I miss them so much. 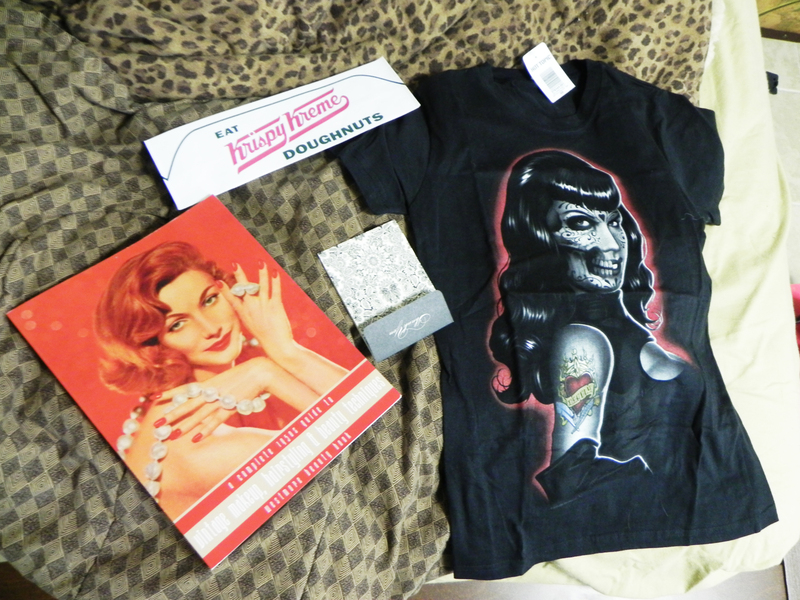 This was the perfect gift and I am soooo thankful for my Dia De los Muertos Bettie Page shirt, Krispy Kreme hat (I will be shooting in when Edson comes back to NY), and an actual Vintage hair, makeup, and technique book from the 1950’s that was republished! Seriously, nothing could be better in a crazy week like this one. Actually, what would be better is if I got to see them this Xmas! It’s cool though, I will see them soon! People don’t send out cards anymore, I love and value them so much. I was up all night reading this amazing book, I am hooked! There is nothing like having GREAT friends. They are so hard to come by. What a great surprise! Everything is fab! LUV the Bettie Page Dia De Los Muertos tee, how cool! I saw that book somewhere recently (maybe one of my amazon trawls) let me know if it’s any good? I’m sure this package helps to make you feel better! I can’t believe the Punk Glam Princess is still poorly, my little baby is just sleeping like mad for three days straight! 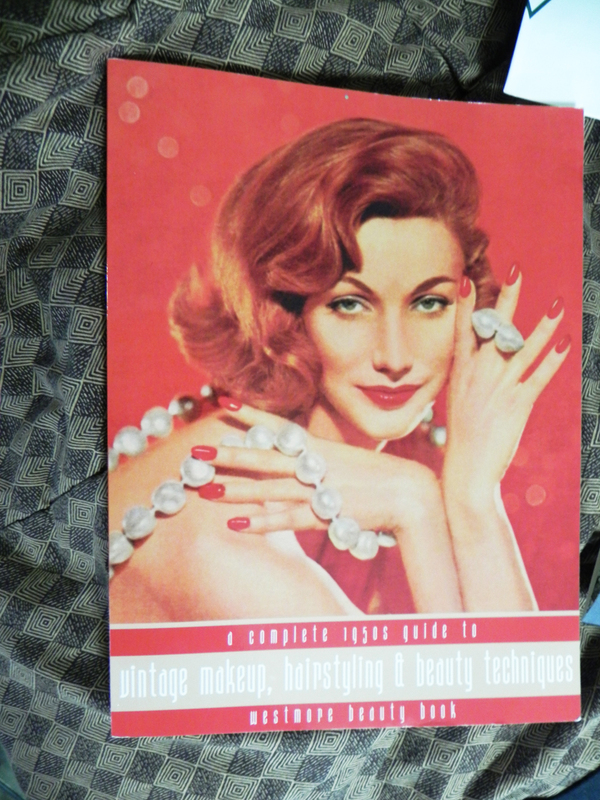 That make up book is a rare find! Great presents to get from friends who know you well.